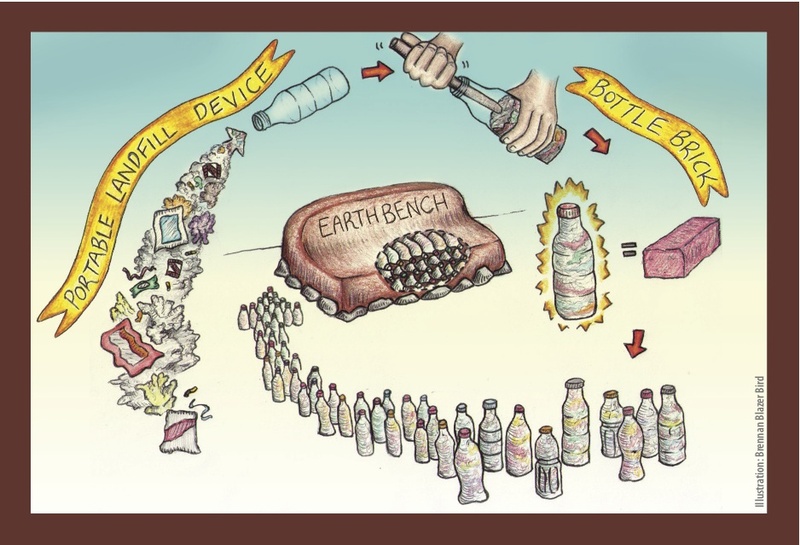 The Bottle Brick Bench at UC San Diego is dedicated to building earth benches in the San Diego area and inspring sustainable ideas. The group is responsible to for two projects at the moment. The first is an earth bench on the UCSD campus near Price Center. We are working with other student organizations and faculty throughout the project. The expected completion of the project is during Earth Week this year, April 16-22. The second project is located near Qualcomm Stadium in partnership with a local elementary school. Completion will be in later Spring. Meetings are open and held every Friday at 3pm in Geisel's S&E Study Room 2. ANNOUNCEMENT: We will be holding huge bottle stuffing event during Earth Week! UCSD will be diverting their waste for us to fill bottle bricks with!